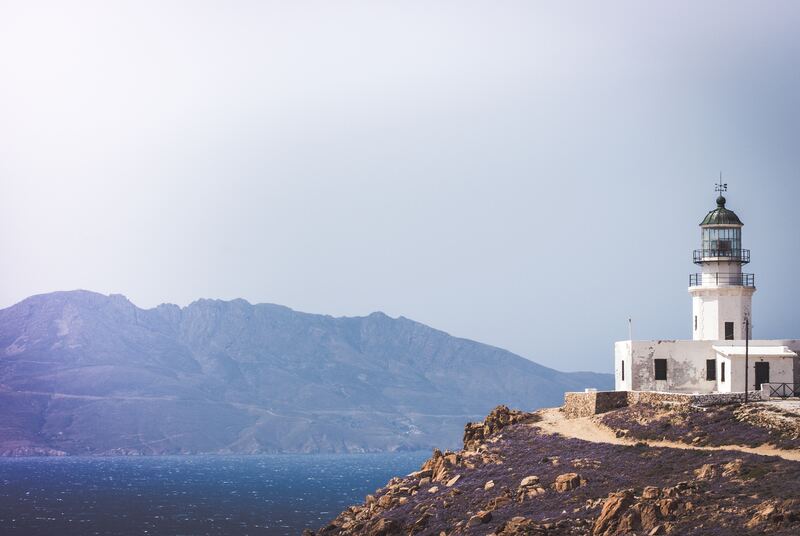 The lighthouse or “Fanari” as locally known which translates to “Lantern” from Greek is standing like a sentinel over the Amenistis area and is a testimony to Mykonos’ maritime history. 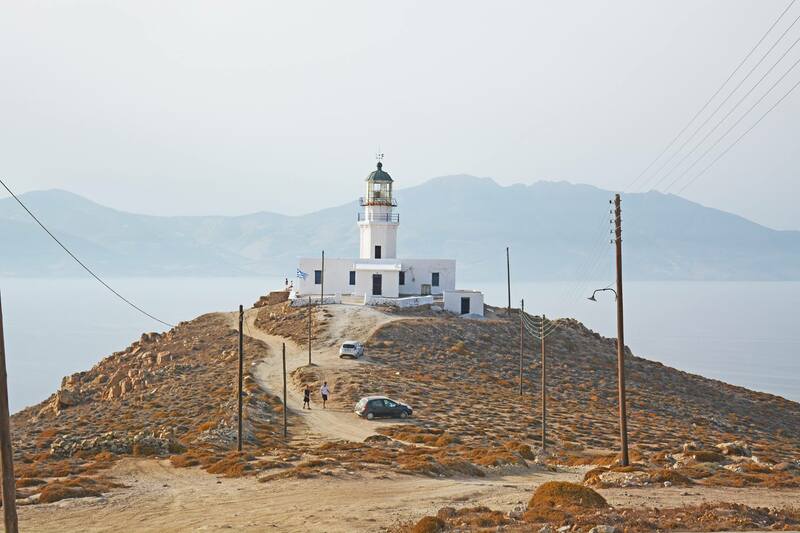 To reach the lighthouse we take the road from Agios Stefanos which offers the most spectacular views on the island just 6.5 km from Mykonos town. It was manufactured in 1891. The altitude of tower is 19 meters and the height of focal plane is 184 meters. 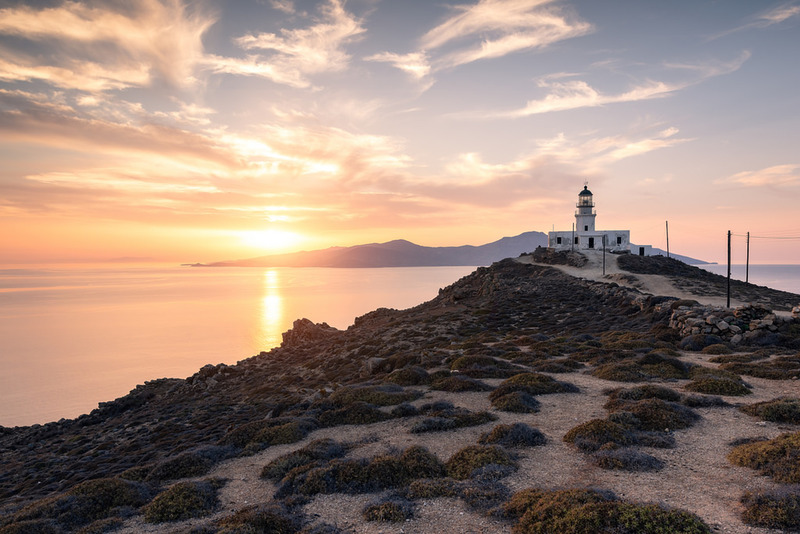 The mechanism of the first lamp of “Armenistis” is exposed outside by the building of Aegean Naval Museum that is located in a traditional building of 19th century, in centre of Mykonos, near to place Three Wells (Tria Pigadia). This place gives you a better view of the new port area of Mykonos and the beautiful scenery around it is breath taking. 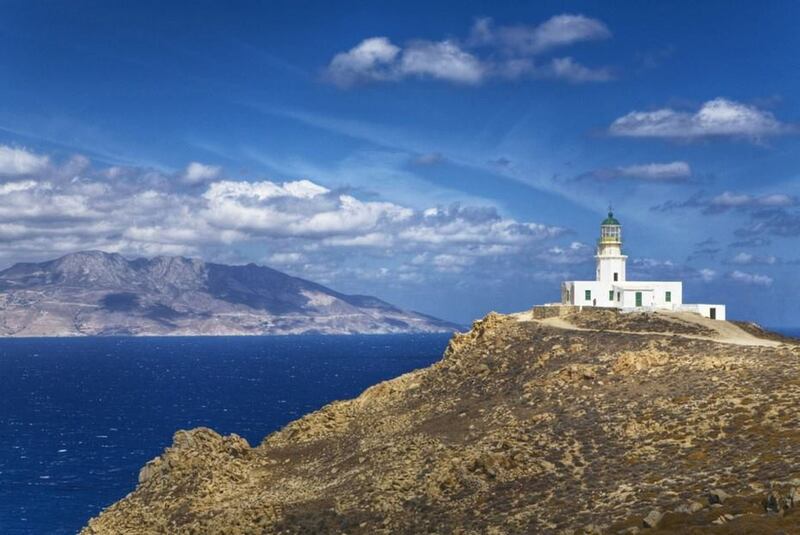 It makes the neighboring island of Tinos to look as if it is right next to you due to its strategic position. Visiting it gives you a good sense of the islands’ fascinating history combined with beauty. Transportation from the pick up location (hotel or cruise ship port) to the lighthouse and back.